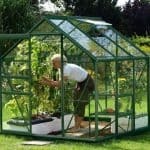 Now there’s no excuse not to grow plants and vegetables! 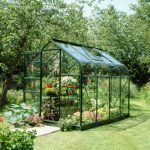 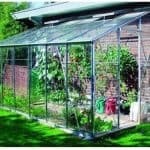 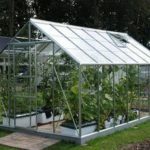 This is ideal for limited space or for first timers who want to experiment – or even for those looking for an extra greenhouse. 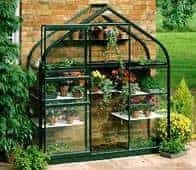 It fixes to the wall and has a roof vent and shelving as standard. 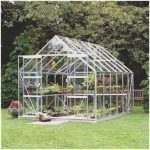 It’s a good looking product too with a curved roof and toughened glass glazing plus a large single front door. 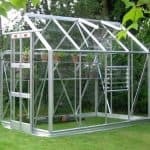 This comes home delivered with base.